2016 can be called a year of policy review rather than a year of development of the Armenian IT field. The April escalation of the Nagorno Karabakh conflict showed that the efficiency of military operations for some part depends on use of the latest technologies. After the 4-day war, a lot of IT companies have reviewed their approaches and offered assistance in boosting the development of military industry. 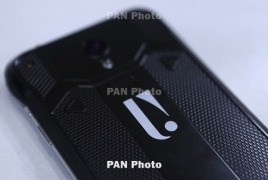 PanARMENIAN.Net - The year was rather hard both for the Armenian economy and the IT market. PAN presents the most important IT events of 2016. Startup Europe Week 2016 Yerevan kicked off in the Armenian capital on February 5 with the purpose to unite representatives of the IT field, boost the development of startup environment and reveal the most urgent problems the startups face. According to the organizers, the gathering that brought together the main players of the field would help represent Armenia as one of Europe’s most important IT hubs and part of a huge ecosystem. Similar events were simultaneously held in 340 cities. Garni, Geghard… or new destinations? Armenian startup Localz has developed an online platform, which offers tourists to outline individual tours and choose the guide they want. With the help of the platform, tourists pick up the places to visit and remove the one they don’t wish to see. For example, if a foreigner wants to visit Garni and Geghard but doesn’t want to see the Symphony of Stones, this point can be removed. On the basis of the inquiry the tourist can get pricing proposal from the guides registered at the platform. Each guide has a personal profile with rating based on assessments of tourists. Thus, the price depends both on the tour peculiarities and professional rating of the guide. It’s no more necessary to visit a movie theater and stand in queues in order to comfortably watch a film, as mobile technologies allow carrying the world cinematography in your pocket. To keep up with the global trends, a small Armenian startup developed its own analog of Netflix, incorporating an almost complete collection of Armenian films. Fambox service is not only a mobile application for iOS and Android but also a website and application for smart TVs. Online video portal includes almost all Armenian films (about 1000 films starting from 1930s). The April escalation saw a large number of unmanned aerial vehicles (UAVs) enabled by Azerbaijan. It became clear that drones are ‘direct participants’ of any hostilities taking place in the 21st century. Realizing this fact, Armenian IT companies expressed readiness to cooperate with the Ministry of Defense for joint development of modern surveillance and safety systems. Some firms combined efforts to create Hrazdan consortium, which embraces several companies offering solutions for drones, as well as robotized engineer systems for communications, localization and so on. On April 22-23, Armenia hosted the fifth International Space Apps Challenge organized by the U.S. National Aeronautics and Space Administration (NASA). The contest which took place at the international conference center of Byurakan observatory was meant help unite efforts of IT specialists for solutions of global tasks and raise awareness about space exploration. PicsArt, one of the best Armenian applications, attracted a total of $45 million at three stages: $10 million from Sequoia Capital in February 2015; $15 million from Sequoia Capital and Insight Venture Partners in June 2015; $20 from DCM Ventures and Siguler Guff & Company in April 2016. According to a memorandum signed between the Union of Information Technology Enterprises (UITE) and UCOM company, the latter will make investments to open about 70 Armath engineering hobby group laboratories in 9 Armenian provinces. The project aims to promote technological education in community schools, arouse students’ interest toward latest technologies and develop architectural skills. The Technology and Science Dynamics (TSD) unveiled in June five different versions of the long-anticipated ArmPhone smartphones. Each of the phones provides a slew of features, including up to 32GB of internal storage, Android 6.0 or Android 5.1 OS, fingerprint sensors and 4G connectivity. On the whole, 696 tablets and 450 cell phones were produced in Armenia in January-June 2016. Yandex Taxi service entered the Armenian market in July, attracting drivers from other taxi services and undermining the activity of Armenian market leader ggTaxi. However, in the course of time, the two companies entrenched themselves, creating healthy competitiveness that will certainly work in favor of the Armenian users. Yecup company beat Armenian crowdfunding record, presenting its selfie-making “smart thermal mug”. The first attempt at Indiegogo was a failure: the project garnered $26,182 instead of the necessary $40,000. However, the developers offered an updated Yecup 365 that was a great success, exceeding the needed sum by 894% and getting $292,013. The 12-th annual international DigiTec Expo 2016 was held late September under the slogan “Fest for technological Armenians”. The 3-day event brought together more than 120 companies from Armenia, Russia, Ukraine, Belarus, Taiwan, China, Iran and other countries. DigiTec’s main goal is to create a favorable environment for communication between high-tech companies, other sectors of the economy and society, to expand the international cooperation and present the ICT achievements and challenges. In October, Yerevan hosted ArmHiTec 2016, an international exhibition of arms and defense technologies. Special detachment troops marked the opening of the event, which featured military-technical products of 50 companies representing nine states. Latest technological solutions, data transmission systems, optoelectronic devices, anti-terror outfit and drones produced in Armenia were displayed. Yerevan residents could in October observe a strange vehicle with a big panoramic camera touring the streets of the Armenian capital. This was the so-called panorama-mobile photographing Yerevan to enlarge the database of Yandex Maps service, which will in the future provide a 3D view of the streets and building of the city and give an opportunity to zoom the map. The shooting team made panorama photos of Yerevan to further place them on the map for the users to view the streets, specifically the central avenues.